Taiwan's population makes the country the fourteenth most densely populated country in the world that counts up to 22,858,872 according to the July 2007 estimation. 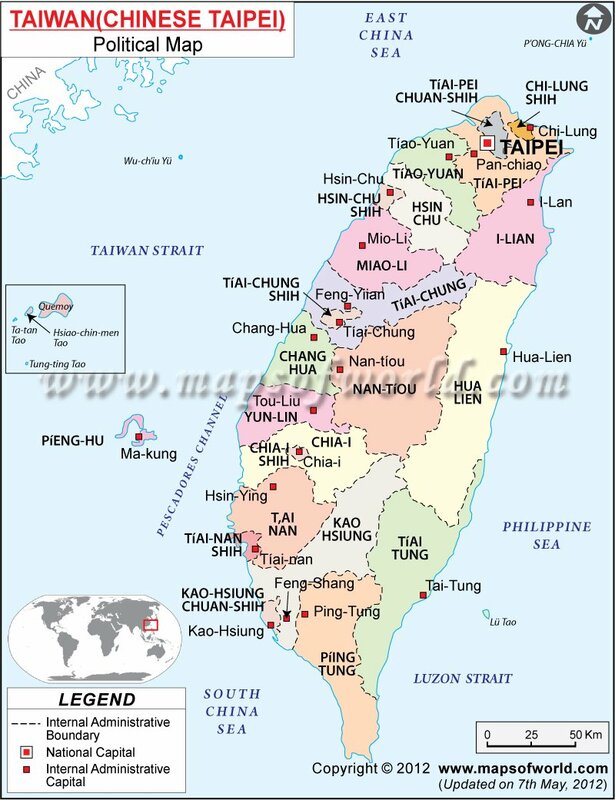 Across a total land area of 35,980 Taiwan comprises mainly of two ethnic groups. 98% of Taiwan's population is made up of Han Chinese while the rest 2% is Taiwanese aborigines. Half of the population follows one or a mixture of 25 recognized religions. The main religions practiced are Buddhism, Taoism, Confucianism and Christianity. There is huge decrease in birth rate with a population growth of just 0.3% and a fertility rate of 1.12 children (below the 2.1 births average needed to replace the existing population.) for the year 2007. The official language is Mandarin although the majority speaks Taiwanese. The people of Taiwan are officially Chinese citizens under Republic of China. The population is regarded ethnic Han descent from the adjacent Fijian Province in mainland China. Almost 53% of the population lives in the mountains while rest of the population lives in the Eastern Plains. Foreign residents in Taiwan are 422,738. The male to female ratio in Taiwan is: 104:100. Most populous city of on the island is Taipei followed by Kaohsiung. There are some tribes existing among the Taiwan population, they are Ami, Atayal, Paiwan, Bunun, Puyuma, Rukai, Tsou and many more. With an average density of 623 persons per square kilometers, Taiwan is the second most densely populated in the world. The Taiwan population is unique for its varsity and ethnicity.